Italy, China sign new 'Silk Road' protocol - Integration Through Media ....! 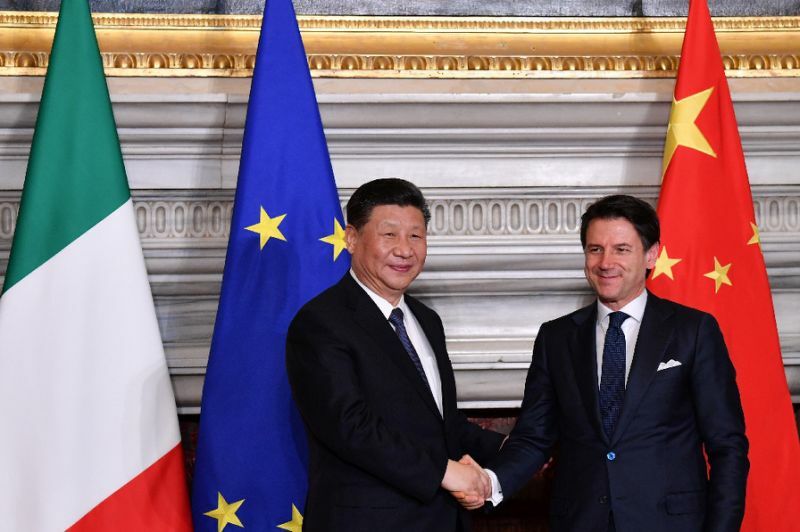 ROME, (AFP) – Italy on Saturday signed a “non-binding” protocol with China to take part in Beijing’s new “Silk Road” of transport and trade links stretching from Asia to Europe. Mattarella responded that business must go “in both directions… with fair competition, respecting intellectual property rights while fighting counterfeit goods”. CHITWAN: Nepali Congress (NC) leader Dr Shekhar Koirala has said federalism would become weaker if the Nepali Congress failed to maintain its strong presence. Inaugurating the leaders’ training programme organised by the NC Ratnanagar town committee here today, he sought awareness within the party to make federalism achieved after long and relentless efforts successful. “Republic and federalism has been at risk and the NC should fight for its protection.” Stating that impunity had increased in the nation and an atmosphere of investment could not be created. It was a matter of concern that financial institutions had becoming weaker and trade deficit was further ballooning despite political stability at home. He took a time to say that a mafia was operating the party, underlining the need of further making the party stronger with further cultivation of political culture. He insisted the need of implementing the decision of Mahasamiti meeting and holding the general convention on time. NC president Jeet Narayan Shrestha, former minister of state Sheshnath Adhikari, Sabitri Bogati Pathak, regional president Kumar Karki, Ratnanagar town committee president Rupanraj Ghimire and vice president Kedar Chapagain put their view on the occasion.